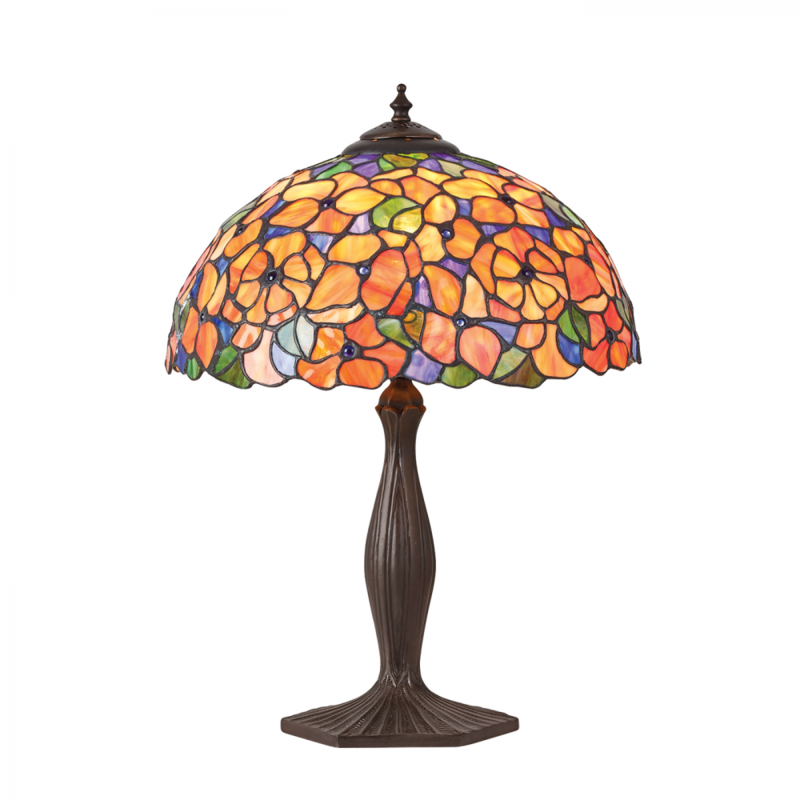 The Happy Homewares Tiffany table light features brightly coloured flowers in oranges and yellows, highlighted with greens and blues. Teamed with a dark bronze effect fitting and compatible with LED lamps. 50cm height x 35cm diameter. Material: Glass & die cast zinc alloy. Voltage: 220-240V.